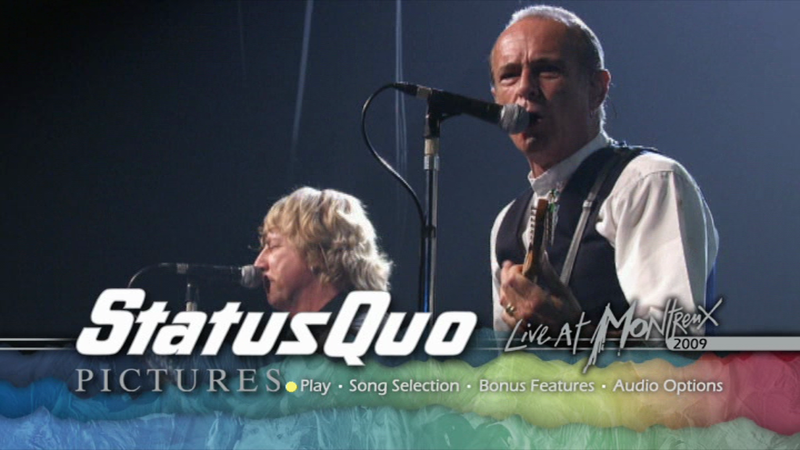 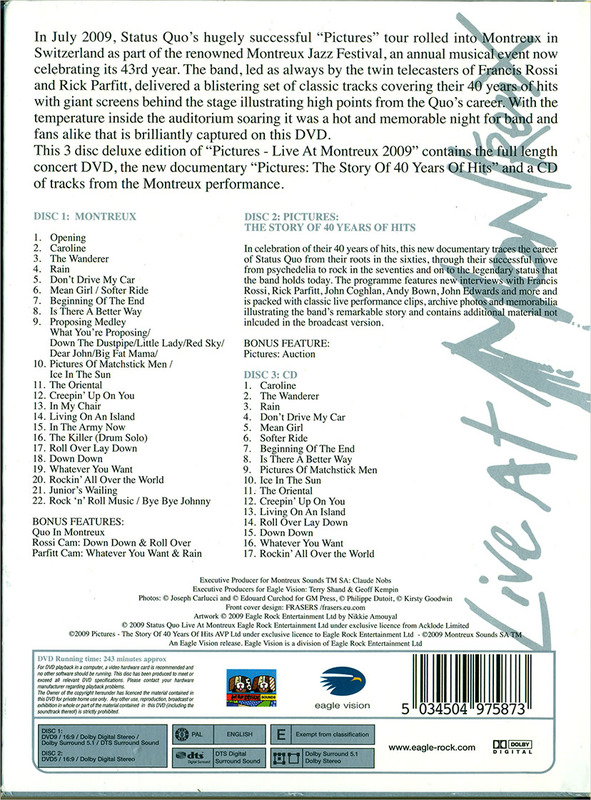 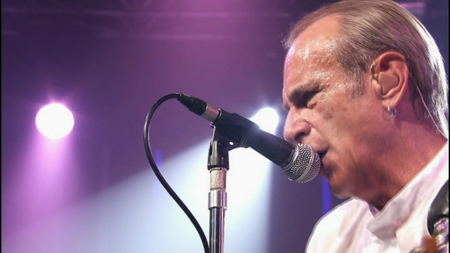 The Deluxe Edition of the release includes the full concert and interview footage from Montreux but also boasts the extended version of the new Biography Channel documentary on 40 years of Status Quo, a single CD of highlights from the Montreux performance and a substantial booklet. 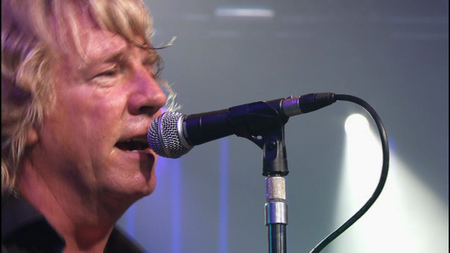 Living up to the title of their signature hit, "Rockin' All Over the World," Britain's biggest boogie-woogie rock band Status Quo show that five decades into their career, they are still a live force to be reckoned with, as evident on this belated release of their triumphant set at the 2009 Montreux Jazz Festival. 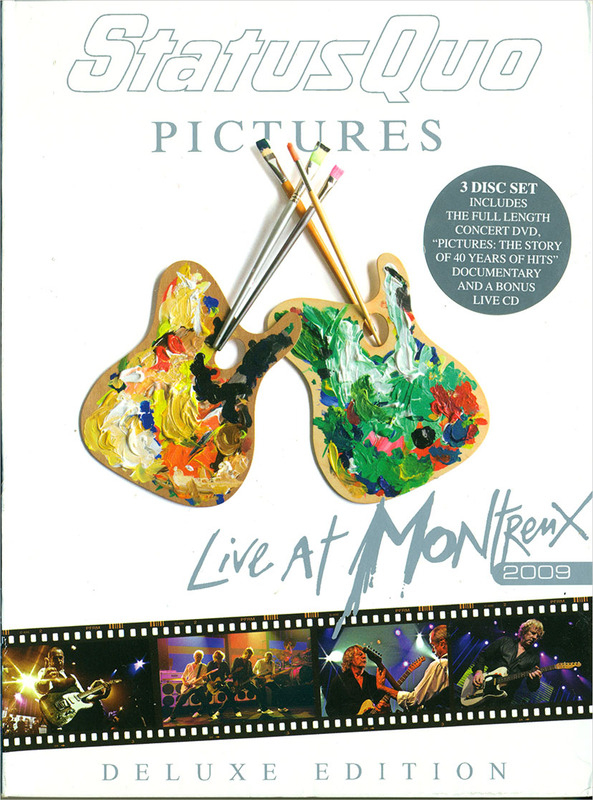 Originally released on DVD in 2007, this audio recording of their second appearance at the legendary Swiss event trims five numbers from the original set list, with "In My Chair," "Burning Bridges," and bizarrely, their second biggest U.K. single, "In the Army Now" omitted from its 17 tracks. 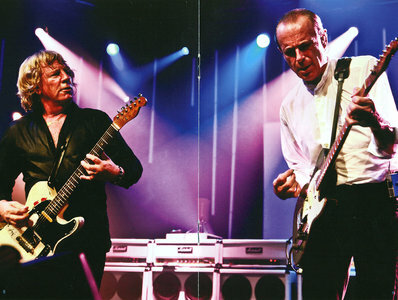 But with 40 years of hits to choose from, there's still more than enough recognizable fare on offer, as the twin Telecasters of Francis Rossi and Rick Parfitt help to provide blistering and rousing renditions of material starting from their 1968 debut Picturesque Matchstickable Messages from the Status Quo ("Ice in the Sun"), right up to 2007's In Search of the Fourth Chord ("Beginning of the End"). 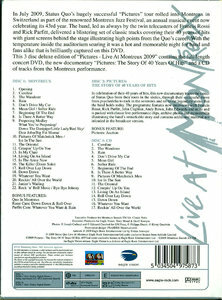 While never really deviating from their no-frills dad rock formula, it's hard not to get caught up in their enthusiasm as they race through the likes of their cover of Dion's "The Wanderer," their debut single "Pictures of Matchstick Men," and their triple-whammy finale of chart-topper "Down Down," "Whatever You Want," and "Rockin' All Over the World." 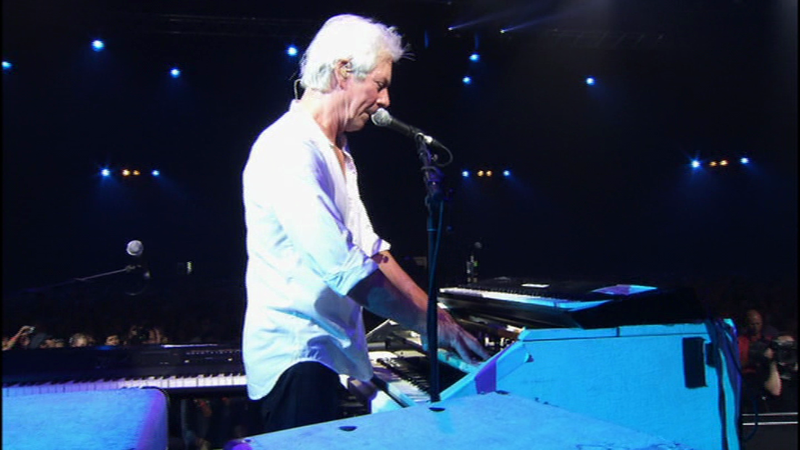 The largely reserved audience response may suggest otherwise, but Live at Montreux 2009 is an enjoyable souvenir of what's considered one of the rock veterans' best-ever live performances.